MFF19 | Moananuiākea: One Ocean. One Canoe. One People. In 1976 a pioneering voyaging canoe sparked a cultural revival that quickly spread throughout Polynesia, breathing new life into ancient myth and legend. 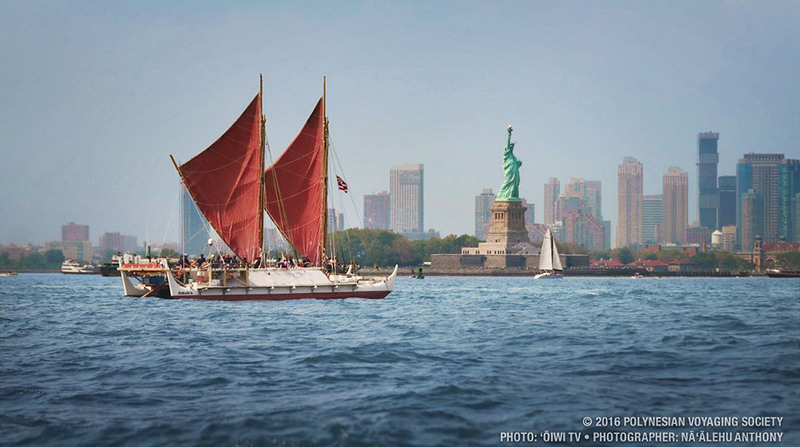 More than four decades later, Hōkūleʻa still inspires new generations of navigators and voyagers to gather their courage and sail beyond the horizon of the Pacific. Moananuiākea:One Ocean. One People. Once Canoe celebrates the epic voyage that connected countless individuals and communities around the globe. A voyage that represented the fulfillment of the vision of master navigator Nainoa Thompson and his contemporaries. A journey that saw the passing of the mantle to the next generation of kānaka maoli who will retain the skills of their ancestors and perpetuate these ocean going traditions. It is incredible to witness the decolonisation of mind, body and spirit, and the consequent resurgence of a people and their culture.